Some items on this page are one of a kind. Please contact us quickly if you are interested. 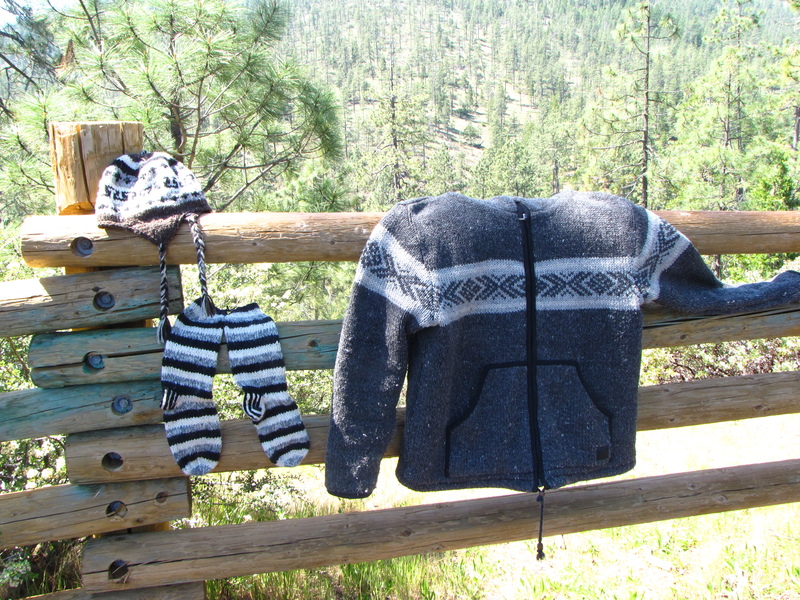 Himalayan sweaters & socks from Nepal! 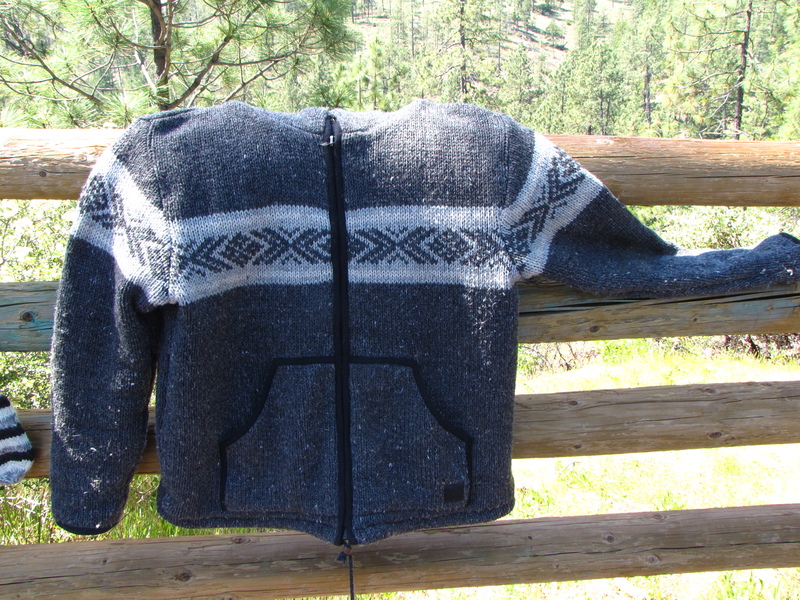 Himalayan sweaters are 100% soft yak wool. Soft cotton lining. Big pockets. Zippers. 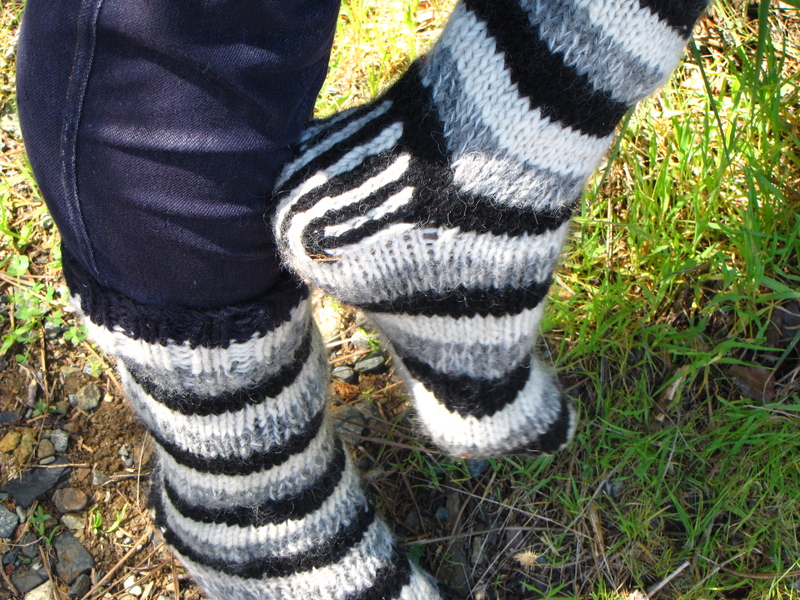 They are knitted by hand in a fair trade environment by a family in Nepal Tina met on her travels. Each sweater is knitted by a different family member, and they each have slight imperfections, which make each sweater unique. 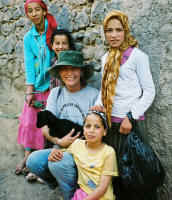 handmade by Berber women from the Atlas Mountains of Morocco. It is 100% cotton. The patterned bands are traditional motifs of geometric designs reminiscent of women's tattoos and are found throughout Berber art. It could be used as a blanket, wall hanging, or rug. Machine wash in cold water. Only one available at this time. This lightweight Egyptian cotton is as old as the Arab world. The colors and design have never changed throughout time. They are traditionally used as wedding tents and for other festivities. This fabric can be sseen in the movies Lawrence of Arabia and Popeye the Sailor Man. 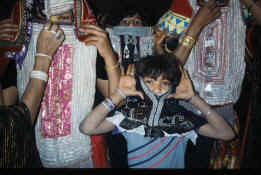 "A Yemeni without his Jambia [dagger] is like an Oxford man without his tie."